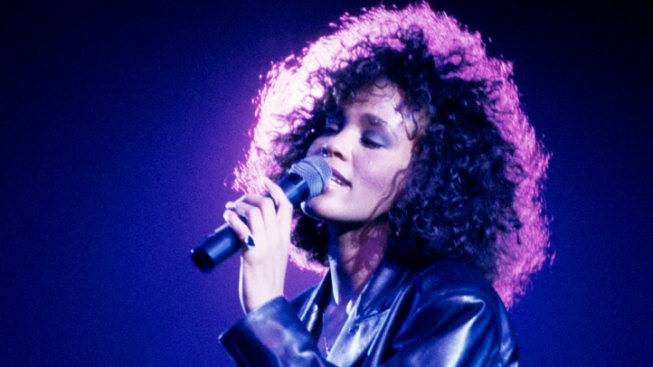 Audio of the 911 call made the night Whitney Houston's body was found in her hotel bathtub was released Wednesday. In the call, a member of the Beverly Hilton's security staff requested paramedics for a 46-year-old woman. He never identifies her as Houston. "I'm not sure she fell or if she was in the bathroom with the water," the caller said. The caller -- who is not named in the recording -- said an "irate" woman first alerted security to the situation. Houston was found face-down in her hotel bathtub on Feb. 11. Her accidental death was attributed to drowning partially to blame on heart disease and cocaine use, according to the coroner's report. Caller: Hi, how you doing? This is security from the Beverly Hilton. Operator: Hi, what's going on? Caller: I need paramedics. Apparently, I got a 46-year-old female found in the bathroom. That's all I've got right now, but they're requesting paramedics. Operator: OK, someone fell in the bathroom. What room is she in? Caller: I'm not sure she fell or if she was in the bathroom with the water. (Room) 464; 434, I'm sorry. Operator: Ok and that's not east, west or anything else? It's room 434? Operator: And you don't know if she's conscious or breathing at all? Caller: Apparently she wasn't breathing and she's a 46-year-old. Operator: She was not breathing? Operator: OK, but she is breathing now? Caller: I don't know. The person that called me was irate and I didn't get much out her. I'll have security go in there now. Operator: OK, we'll send police and fire over there now with a person not breathing. Did it sound like the person was still not breathing? Operator: OK, we'll get them there for not breathing. Is there any way you can get in the room so I can try to do CPR? Caller: Ya, we're going there now. Operator: Can you get me into the room so I can try to give CPR instructions? Caller: Oh, I'm sorry. No, cause she kept hanging up on us. Operator: She kept hanging up on you? Operator: Ok we're good. We're getting over there, OK?